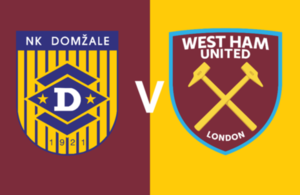 West Ham will face NK Domzale in Europa League qualifying – 3rd Round match on 28th July 2016. The Hammers will start their Europa League mission against NK Domzale at their new home ground Olympic Stadium. West Ham looking to join Southampton and Manchester United in the group stages of the tournament after finished at seventh place in the Premier League last season. The first leg will take place on July 28 and the return game will held on following week on August 4. Domzale first time participating on Europa League’s after ended third-placed in the Slovenia league last season, they beat Andorran by Lusitanos 5-2 and reach the second qualifying round. Domzale is Slovenia’s oldest clubs it founded in 1921. In 2006 and 2008 they won back-to-back Slovenian titles. Prediction: West Ham United can easily win the match and possible score would be West Ham United 3 – 0 NK Domzale.